As a Loveland Colorado divorce attorney, I realize that divorce has major implications on the lives of the spouses and especially the children. I will listen to you and respond with reliable advice you can use to make some very personal decisions. In Colorado, we are a no-fault divorce state meaning that either party can initiate a divorce if they are convinced that the marriage is irretrievably broken and there is no hope of reconciliation. Therefore, the court is no longer obligated to hear the parties make complaints about each other. Colorado will not permit a party to file an action for dissolution (divorce) or legal separation until he or she has been a domiciliary (permanent resident) of Colorado for at least ninety days. After a party initiates action, the court requires a ninety day waiting period before the marriage may be terminated. However, it ordinarily takes more than 90 days because of court schedules and the issues that arise unique to each case. You and your spouse can negotiate your own divorce settlement, however, I would strongly encourage you to do so with some knowledge of the law in Colorado. Divorce has many lasting implications and what you don’t know can hurt you. Without the advice of a divorce attorney, you may enter an agreement that causes you to give up certain rights available to you under Colorado law. Therefore, I would strongly suggest you talk to a Colorado attorney knowledgeable about divorce law in Colorado. 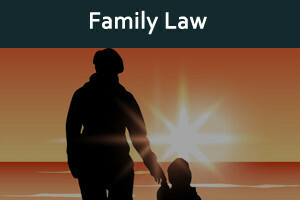 To obtain more information about the ramifications of a divorce, I invite you to contact my office by calling 970-663-9384 or by filling out the contact form on this website to schedule a low cost initial consultation with a Loveland family law attorney.